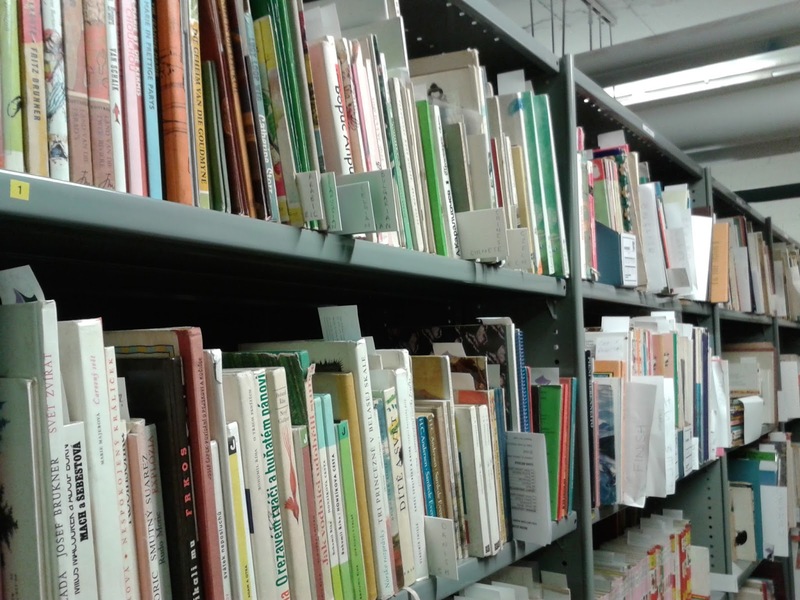 A brand new year, and a whole new theme of blog posts ahead of us! For the new year of 2016, we will be saying farewell to the All About Animal posts of 2015, instead taking an in depth monthly look at transport in the Seven Stories Collection. We will be covering some of the more conventional methods of transport - walking, cars, boats, etc - but will also be delving in to those very special methods of getting around reserved for children's books. Travel by castle, anyone? More of castles in February. To kick off the new year, we are going to showcase the more humble mode of transport, the tramcar. A transportation not as frequently seen in many towns and cities in the UK as in the past - the only working trams in the north east of England reside at Beamish Open Air Museum - but the story and illustration of this particular tramcar is entrancing nevertheless. 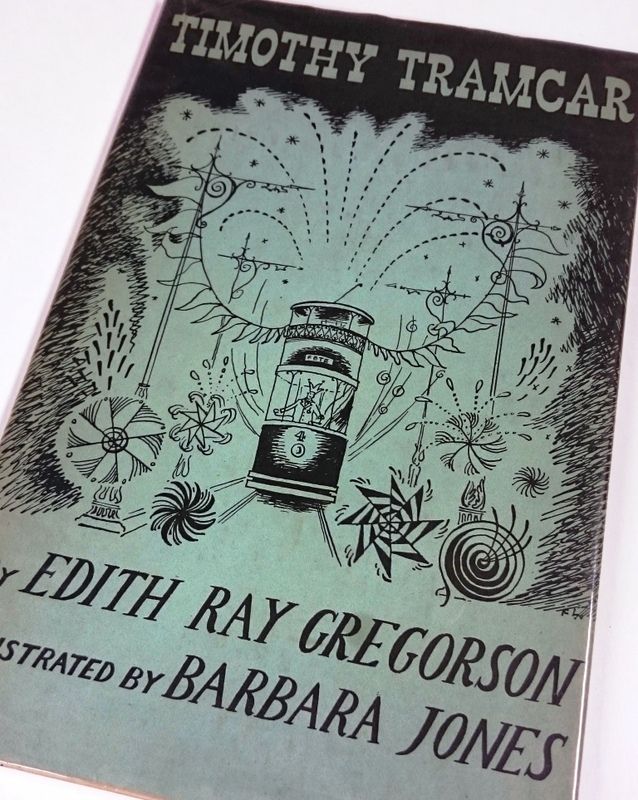 Timothy Tramcar, written by Edith Ray Gregorson and illustrated by Barbara Jones, was first published circa 1950 by Railway World. Seven Stories holds the majority of the beautiful original pen and ink line drawings for this book, as well as some colour artwork. There is, however, very little related material to tell us about the book. 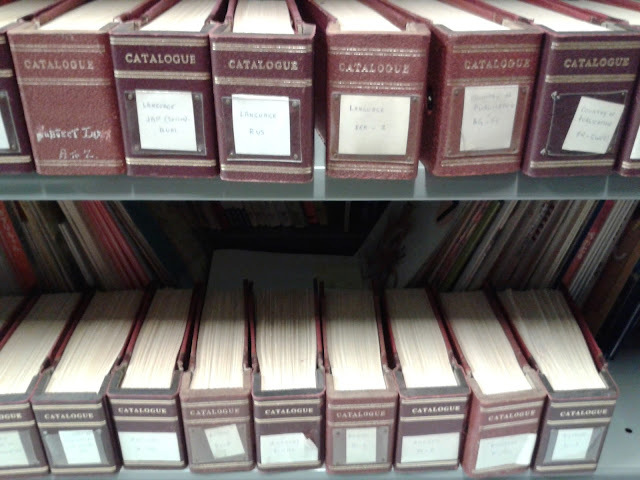 The collection includes some material created by B.C. Bloomfield (1931-2002), who acquired the artwork as part of his private collection of the work of Barbara Jones. 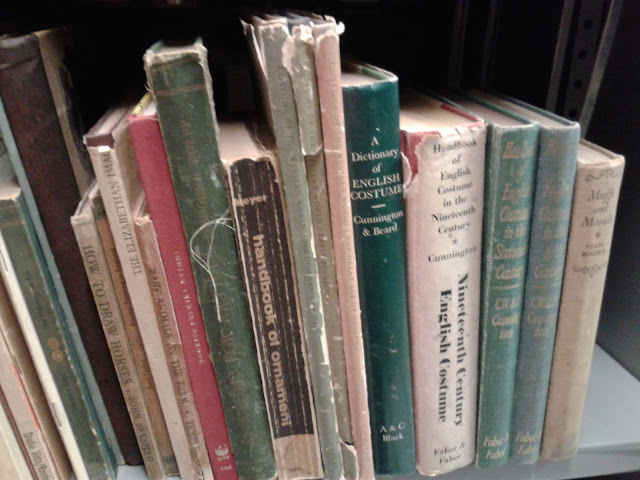 Bloomfield can be seen through his correspondence trying hard to discern the date of publication, but no concrete evidence was found, other than it must have been published before the publishing company was taken over in 1960. The story of Timothy Tramcar follows the battle within a small town between the old fashioned tram system and the new and controversial buses. Told with an expectedly heavy bias on behalf of the trams, (the book was put out by the publishers 'Railway World' after all! 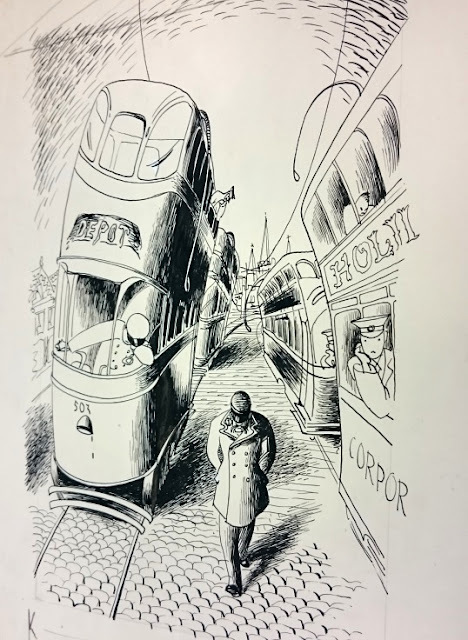 ), it sees a local politician try and force out the trams, until a popular campaign and the politician being saved from ice and snow leads to the eventual victory of the trams! 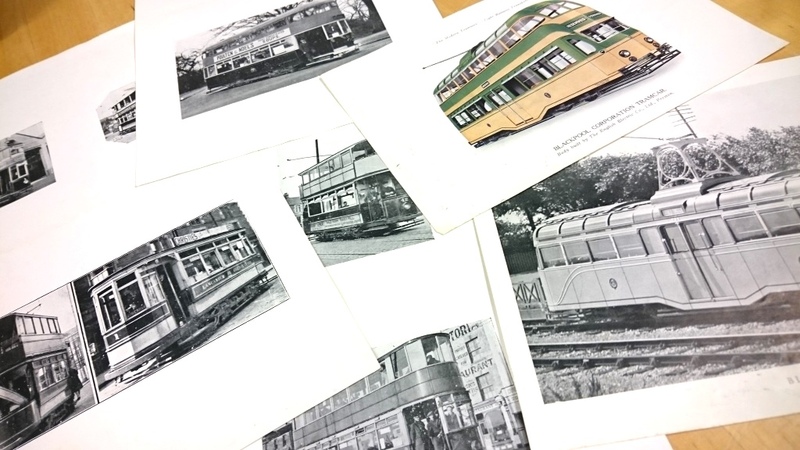 Printed sheets of photographs of various trams from around the UK. These appear to have been prints collected by Barbara Jones as part of her research for the illustrations. The book's illustrator, Barbara Jones (1912-1978), was active in publishing from the 1940s to the 1970s. 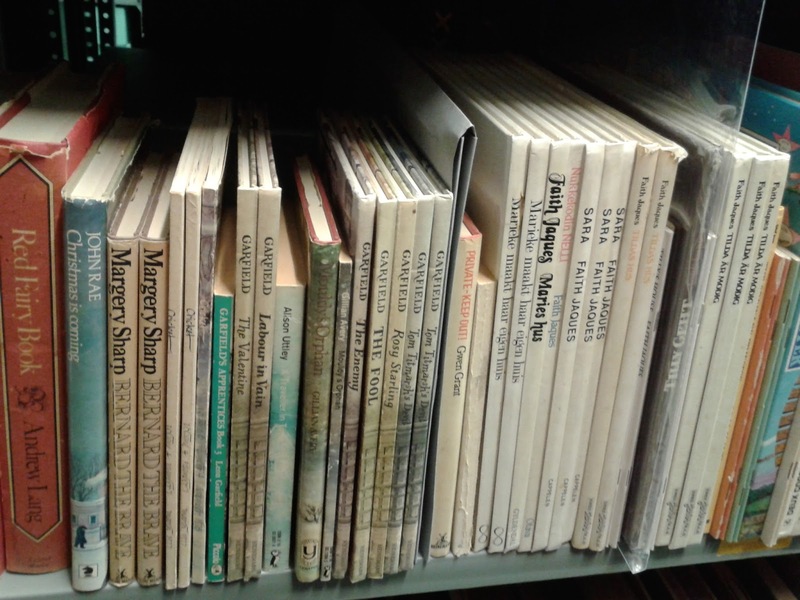 Known as an illustrator and landscape painter, she studied at the Royal College of Art before going on to contribute heavily to the 'Pilgrim Trust Recording Britain Project'. This employed artists to record life on the home front during the Second World War, collected by the National Gallery, and inspired by a desire to capture and reflect the rapid changes happening within Britain. There is an interesting correlation here to the subject of Timothy Tramcar, and his fight (and victory) over changes in the town. The material held in the archive relates purely to the illustration of the book. 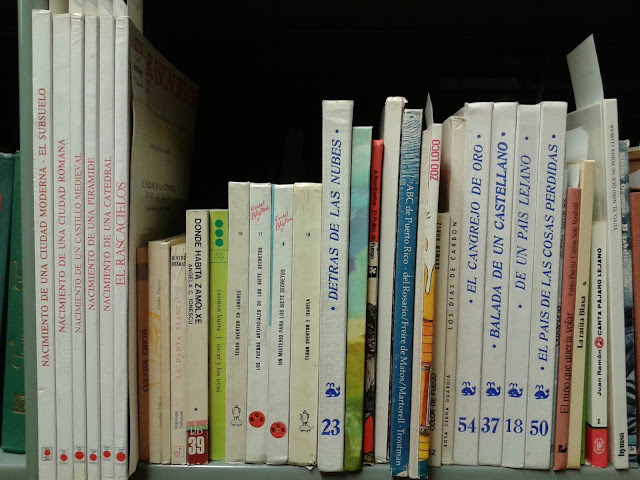 How the book was written, or even many details about the author, are difficult to find. If anyone reading this is able to let us know more about Edith Ray Gregorson, or how she came to be writing about these tramcars, it would be wonderful to know! Original artwork by Barbara Jones for Timothy Tramcar, c. 1950. This illustation captures the mood of the trams returning to the depot, at threat of being wiped out! Original artwork with annotations, by Barabara Jones for Timothy Tramcar, c. 1950. 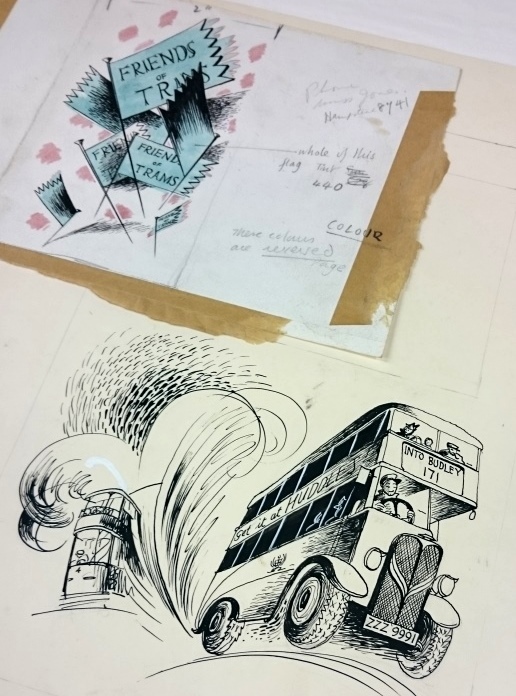 These illustrations show the campaign in favour of the trams, and a bus leaving poor Timothy in his wake.